Welcome to Great Lakes Engineering. 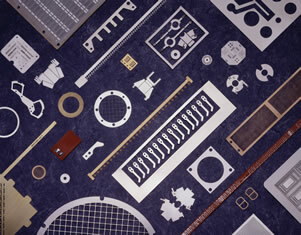 Great Lakes Engineering is a premier manufacturer of surface mount stencils, precision laser cutting services, photo chemical etching services, squeegee blades and we also provide high quality photo plotting services. We work with a wide range of materials, including Stainless Steel, Copper, Brass, Titanium, Nitinol, Nickel, Kovar and many others. 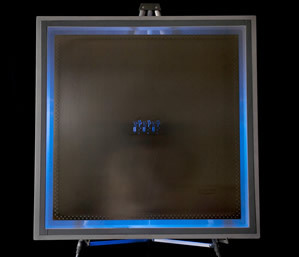 We do not work with glass, plastics, or aluminum. Our specialty is working with very thin materials ranging from .001” to .030” thick. We can offer a wide range of capabilities and materials to meet your needs. We can work with thicker materials in some instances, so please give us a call if you have questions. We are one of the very few manufacturers that can offer a combination of capabilities to make very difficult parts that have multi thickness specifications on the same part. We service many industries, including, the defense, medical, electronics, aerospace, aviation, telecommunications, energy and even decorative applications. Great Lakes Engineering has some of the best turnaround times in the manufacturing industry. Our state-of-the-art laser technology enables our customers to experience positional accuracy unattainable with conventional technology. Industry trend toward miniaturization is leading to finer pitch requirements, high tolerances, and greater repeatability. 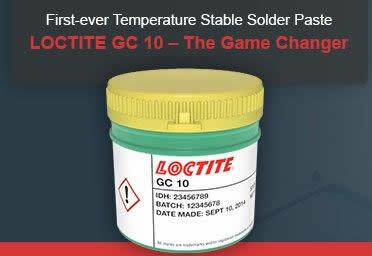 Great Lakes Engineering is a proud distributor for Henkel Solder paste and other fine Henkel products. 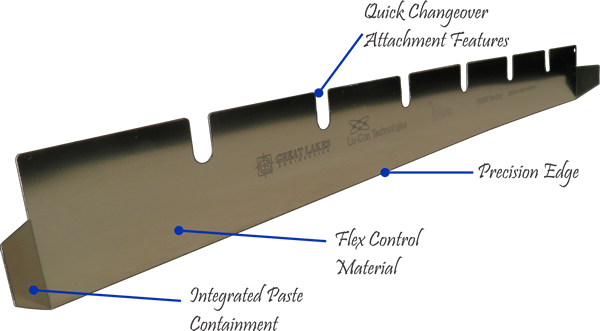 Great Lakes Engineering is a manufacturer and distributor of the new state of the art Lu-Con Technologies squeegee blades with the introduction of the Wave Glide and Wave Profile blades. Great lakes is also a manufacturer of new state of the art squeegee blades with the introduction of the Wave Glide and Wave Profile blades. Great Lakes is also a proud distributor for Henkel Solder paste and other fine Henkel products. At Great Lakes Engineering, we pride ourselves on the expertise of our staff and the advanced capabilities of the technology in our facility. 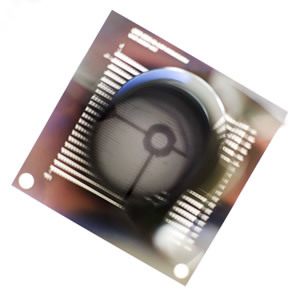 We’re able to do everything for our clients, from chemical etching to photochemical etching to precision laser cutting and beyond! For each service that we offer, customers can be confident that the final result will be a product with quality that exceeds their expectations.